indus valley civilization was one of the oldest civilisation grown at the bank of rivers indus and ghaggar. it is also called saraswati civilization. mohan jo dharo, kalibanga, lothal, dholaveera, rakhighadi and hadappa was the main centers of this civilization. raybahadur sahni discovered indus valley civilization. indus valley civilisation comes in prehistoric period. wheat and barley were the two main crops of indus valley civilisation. universal date for the indus valley is 2350 A.D to 1750 B.C. fire ovens was found from lothal and kalibanga. ploughed field and embroided bricks were found in kalibanga. annagar (grain storage) was one of the most biggest building of that time. bath house was itself a monument which is 11.88m in length and 7m wide. 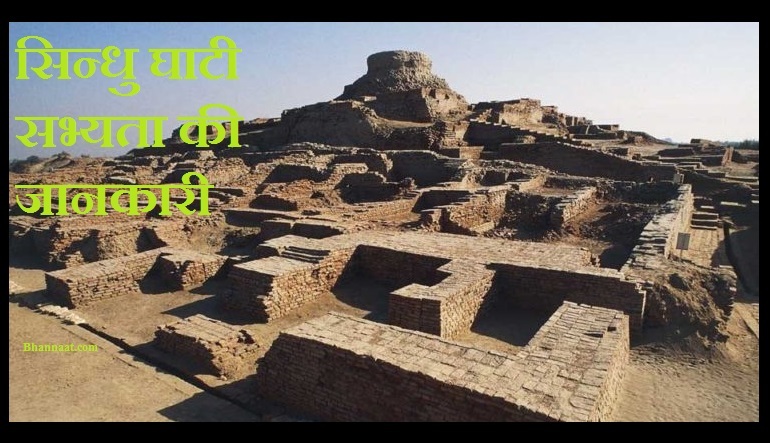 main centers of harappa was found in gujrat. a stone in which god with 3 faces was found in mohenjodaro surrounded by elephant, hippo, leopard and buffalo. fishing, hunting and playing ludo etc were the main means of entertainment. houses and buildings were build in grid system which means doors were opened at the back.